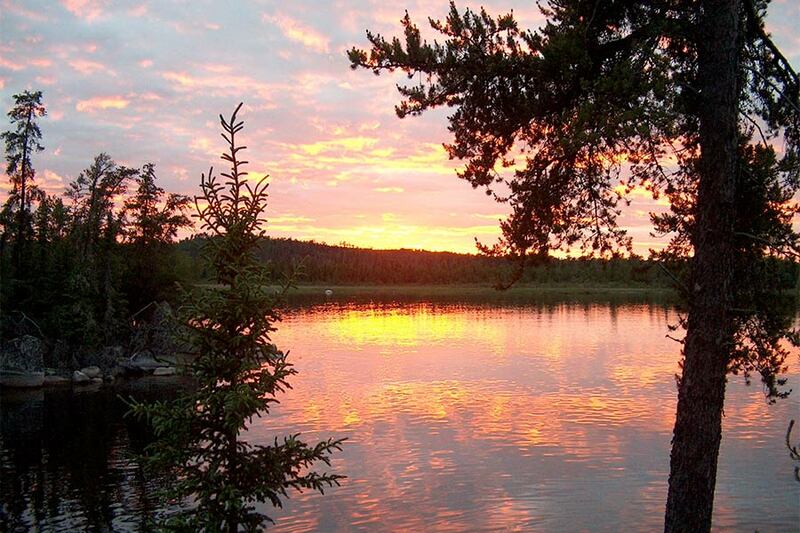 Our wilderness adventure vacation resort is a great place for family adventures, romantic getaways, secluded wilderness retreats and relaxing vacations to get away from it all. 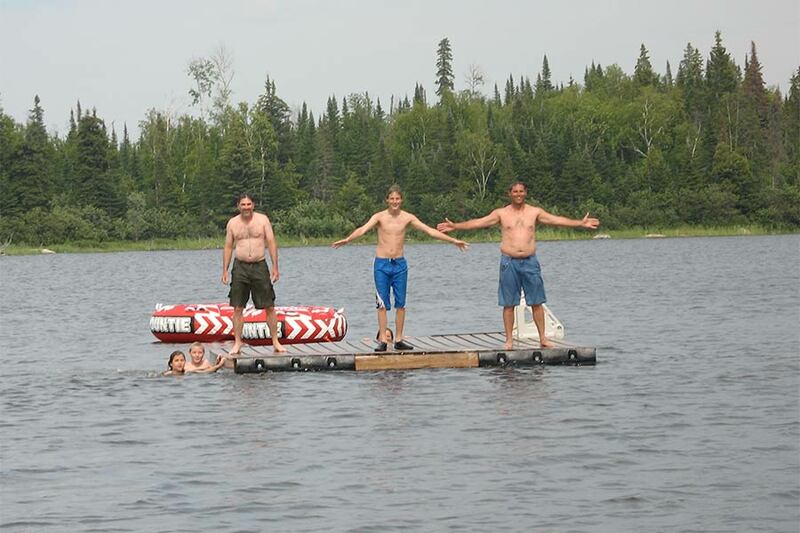 Besides great fishing for northern pike and walleye we have many other opportunities for wilderness adventures, ecotourism and other wilderness recreational pursuits. We have a trail network for nature appreciation and birding or bird watching. Bear and moose viewing is an exciting adventure and can be done very easily and safely by boat at many places on Lake Wabatongushi where our black bear and moose neighbours like to hang out. 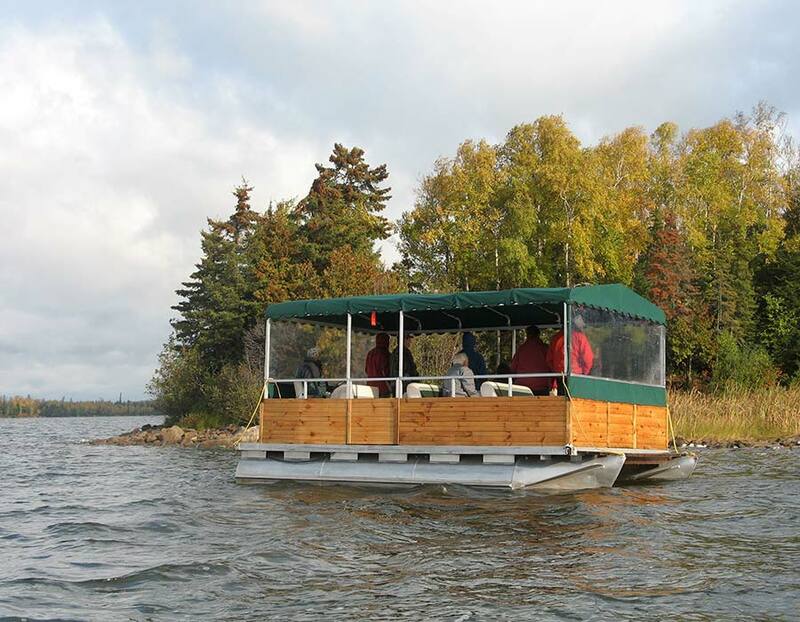 If you would like to learn more about our wilderness and the natural environment we can have one of our knowledgeable guides go out with you, or you can join one of our periodic nature exploration pontoon boat tours. 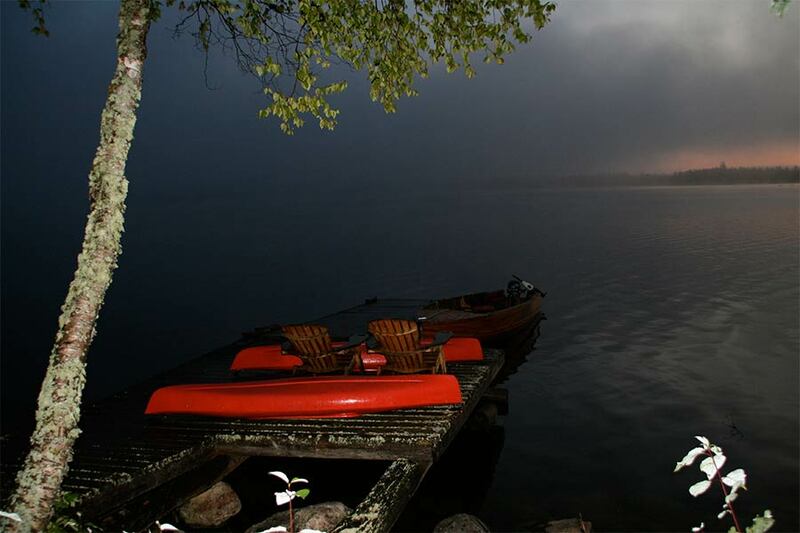 There is excellent swimming by the lodge, at most of our secluded cabins and at the several beaches on the many islands and the scenic shoreline of Lake Wabatongushi. Some of the beaches are also great areas to find native artifacts from the Cree and Ojibway First Nations. who used to use the Michipicoten and Albany River waterways connected to Lake Wabatongushi to travel from Hudson Bay to Lake Superior. 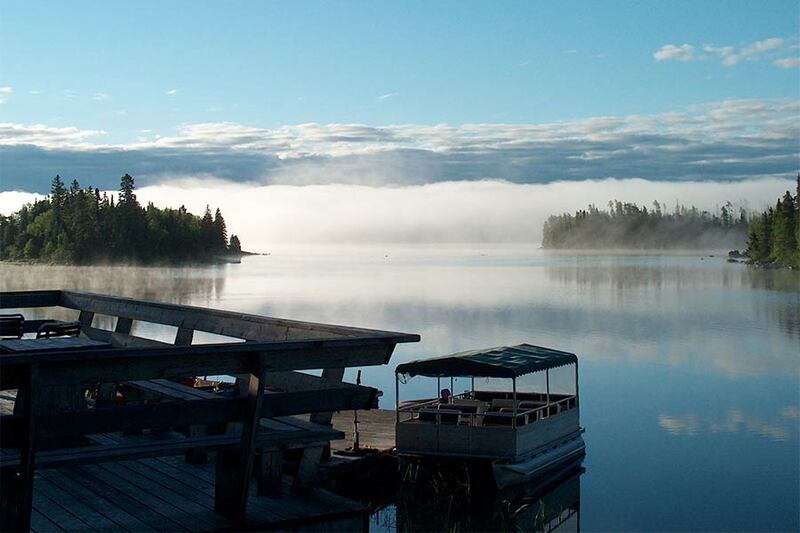 Lake Wabatongushi is at the height of land between Hudson Bay and Lake Superior and both natives and trappers used to migrates through the here. 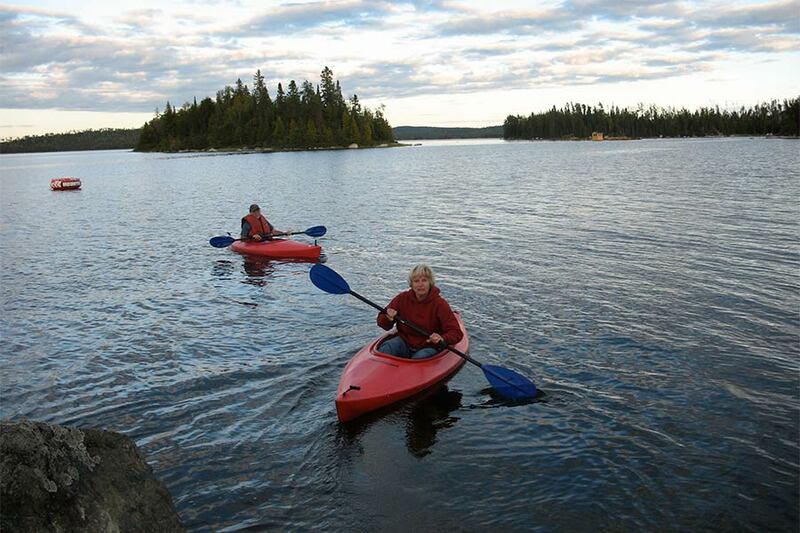 Canoeing and kayaking at our wilderness adventure resort are very safe for all ages and abilities. 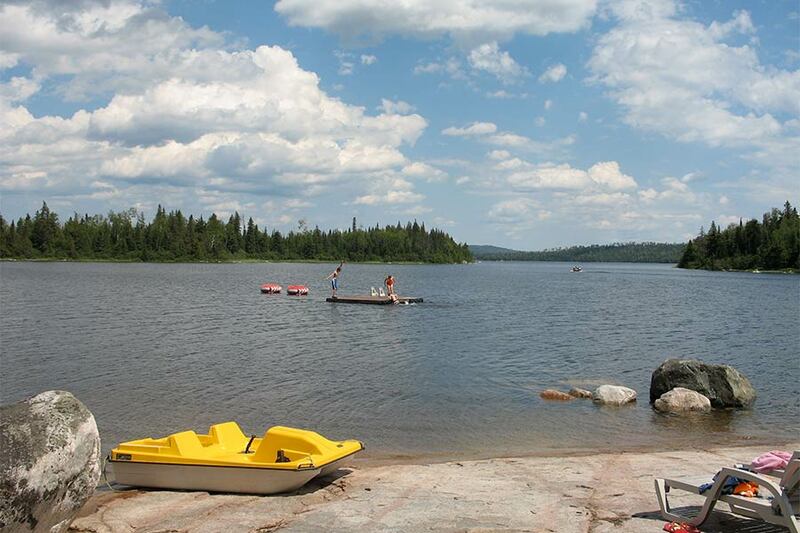 Lake Wabatongushi is a very sheltered lake even though it is fairly large at approximately 23 miles/34 km long. 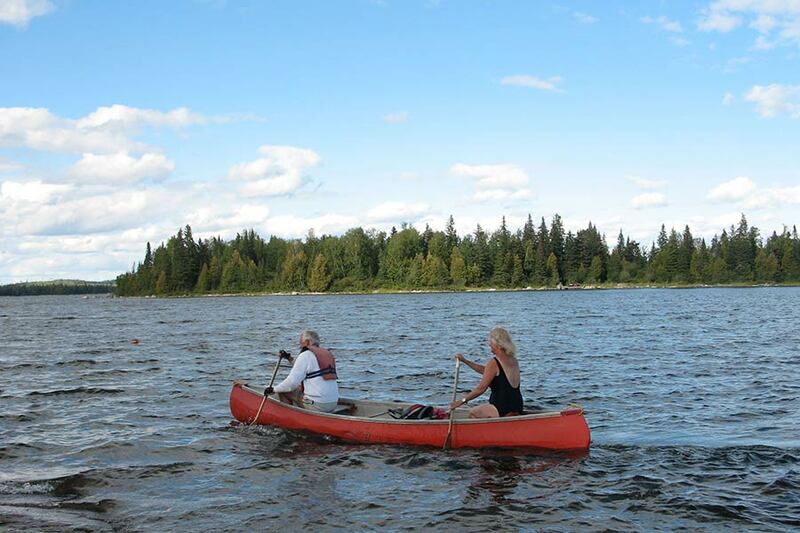 Wilderness canoeing adventures Lake Wabatongushi is mostly many islands and bays so the wind almost never makes the lake rough enough to be a serious concern, especially in the north end where our resort is located. Being on an island makes our resort a great place for kids as well. There is a lot of bush to explore on our island as well as many birds and a few small animals to see, but they can’t get lost because we are on an island. 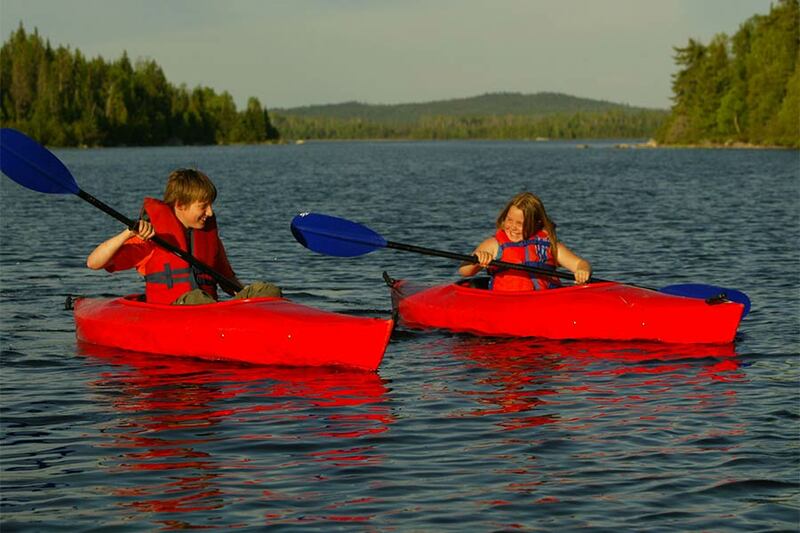 We also do not have TVs or video games at our resort to distract children from enjoying exploring the Canadian wilderness and spending time as a family.